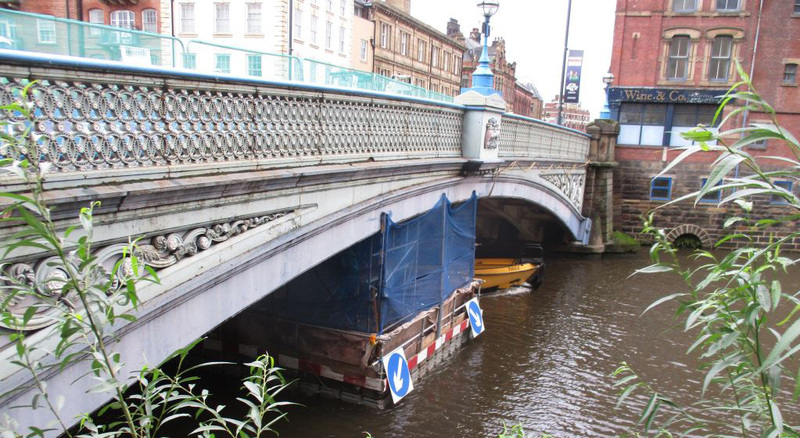 The historic Leeds Bridge will reopen to two-way traffic next month as essential maintenance works near completion. From Monday 14 January 2019 the works necessary to strengthen the bridge will be completed. Bridge End over the River Aire by The Calls in the city centre will then re-open to two-way traffic, including the key 2, 3, 12 and 13 bus routes. The Leeds City Council-managed project required traffic restrictions to be put in place from January 2018, meaning there’s been no access over the bridge for most northbound traffic (heading towards the city centre) for the last year. There is a possibility the bridge could reopen earlier if there’s good weather and the contractor continues to make good progress. The final element of the work will see scaffolding and sheeting erected to enable painting to begin on the parapets and sides of the bridge. This will improve the bridge’s appearance and protect the almost 150-year-old ironwork from deteriorating. This work is planned to be fully completed by April 2019. 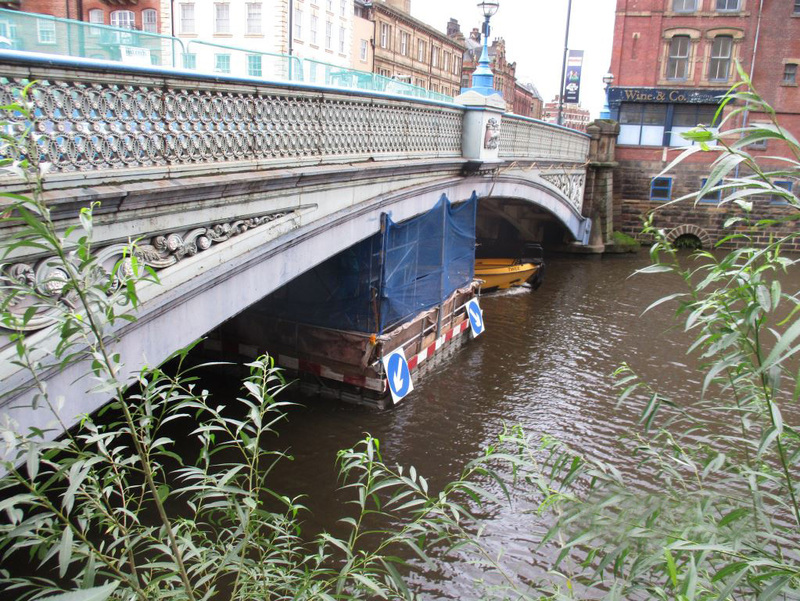 Completed in 1873, the grade II-listed Leeds Bridge is made of wrought and cast iron, and the work has seen old concrete above the original ironwork deck removed and replaced with new stronger steel-reinforced concrete. Where needed, localised repairs are being made to the ironwork before the bridge is completely cleaned and repainted. Information will be given to transport organisations as well as all local residents and businesses in the run-up to the reopening, with advance signage also being shown around the bridge. This post is based on a press release issued by Leeds City Council.